27 Eye-Opening Website Statistics: Is Your Website Costing You Clients? It’s 2019—so you’ve probably realized by now that your website has an effect on the perceived credibility and quality of your business. But very few people know just how colossal this effect actually is. In fact, many businesses struggle to turn underperforming websites into websites that actually boost credibility and client acquisition. Today, we’re going to present 27 staggering statistics about websites, and how users interact with them, filling your digital toolbox with strategies on how to change your website from client-repellent to enticing, user-friendly and conversion-driven. As common as it is to say “don’t judge a book by it’s cover,” websites are subject to an extreme level of snap judgements that immediately influence perceptions of credibility. A surplus of good options drives the price—or in this case, the level tolerance for bad websites—down. So yes, websites are judged swiftly and ruthlessly. I think I can guess which website you’re more likely to hold in high regard. The best (and only) way to get rid of snap judgements on your homepage is to improve it’s design. While this may feel like a massive undertaking, you can read on and implement what you’ve learned to make sure your redesign avoids the fatal 0.05 seconds in the future. Websites that are not mobile responsive are by nature poorly designed, because they don’t provide an optimal user experience. No company wants its website visitors to be wary of referring them. 85% of adults think that a company’s website when viewed on a mobile device should be as good or better than its desktop website. Have a website that users need to pinch and zoom on their mobile devices to view? That user is as good as gone—and they should be able to figure that out in 0.05 seconds. Nowadays, all website should feature responsive web design. In other words, the display of the website should adjust based on the pixel width of the website upon which it’s being viewed. If you have a responsive website, aspect ratio becomes less important, because the priority is filling the screen on every device in a way that is legible, compelling and easy to navigate. In tip #21, we'll learn that 50% of U.S. e-commerce sales occur on mobile devices. If smartphones alone account for 63% of retail website visits, there must be a gap in the quality of retail mobile sites that causes conversion rates to be lower. Still, 63%—a number primed to be bolstered by retailers putting more effort into their mobile shopping experiences—should be a large enough slice of the pie to drive retailers with poor mobile experiences to action. Congratulations! You got past the 0.05 seconds of doom. Now what? Well, you’re not quite out of the weeds yet! In fact, any snag a user hits on your site—whether it’s related to design or navigation—can be fatal to your chances of turning that user into a lead. 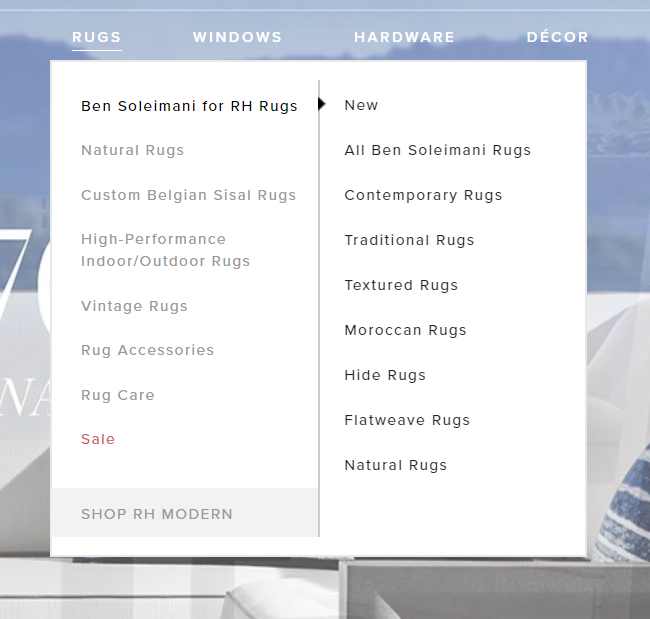 Remember the Restoration Hardware homepage that I was praising in statistic #1? As it turns out, the cover looks a lot better than the book. Design-wise, the site looks pretty good throughout, although this is helped in part by the great images of beautiful, luxurious products. But when it comes to the layout, the site can be a bit vexing. When I hover over any category on the navbar, it gives me a dropdown menu. Nothing wrong with that—except for the fact that each dropdown menu has it’s own series of dropdown menus, creating a sea of nested content that can be extremely frustrating to find. Each one of the categories on the left has its own set of subcategories. Yikes! 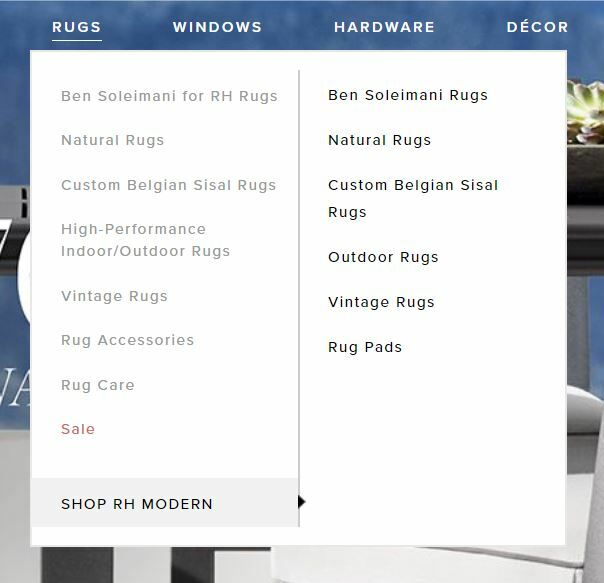 Not to mention the “SHOP RH MODERN”, which brings up a new dropdown that duplicates many items from the left column in the right column. I have a headache just thinking about it! Not all websites that look good initially are good at getting the job done and converting users into leads and customers. In fact, if a website slips up at any point, users have made it clear that they won’t tolerate it. Of course, dropdown menus with oodles of nested content aren’t the only layout and navigation flaw in the book. There are thousands—and the only real way to find them on your website is to understand how users interact with it. Remember, even books with great covers can get put down halfway through. Make sure your website is well designed and well structured from start to finish. The internet doesn’t hand out second chances. In fact, everything we’ve learned so far tells us that bad website design, outdated aesthetics and low usability are major credibility killers. Try to get to the root of the issue. If your website hasn’t been updated or redesigned in 5 years, the answer is probably pretty simple: Implement some of our design tips from above and create a modern, responsive website. But what if you recently completed a redesign and find that many users are bouncing, and your conversion rates are lower than expected? Here’s a helpful guide with tools you can implement to improve your website’s User Experience and conversion rates. 77% of agencies believe that a bad website User Experience is a weakness for their clients. User experience and design are not separate concepts. They couldn’t be more connected. If a company fails to update and fix broken images on its website, what does that say about the company’s attention to detail and level of organization? Similarly, images have the ability to significantly slow down the load time of the pages that house them, leading to even more user abandonment. Luckily, the culprit for slow load times of images is easy to identify: large file size. While it may be tempting to pepper your website with beautiful, high resolution images, it can greatly detract from your website’s effectiveness. In fact, not only does slow load time effect user behavior by causing users to leave your site, it also affects SEO. Here’s a free tool from Google to check the speed of your website’s pages, so that you can diagnose any potential loading issues:. 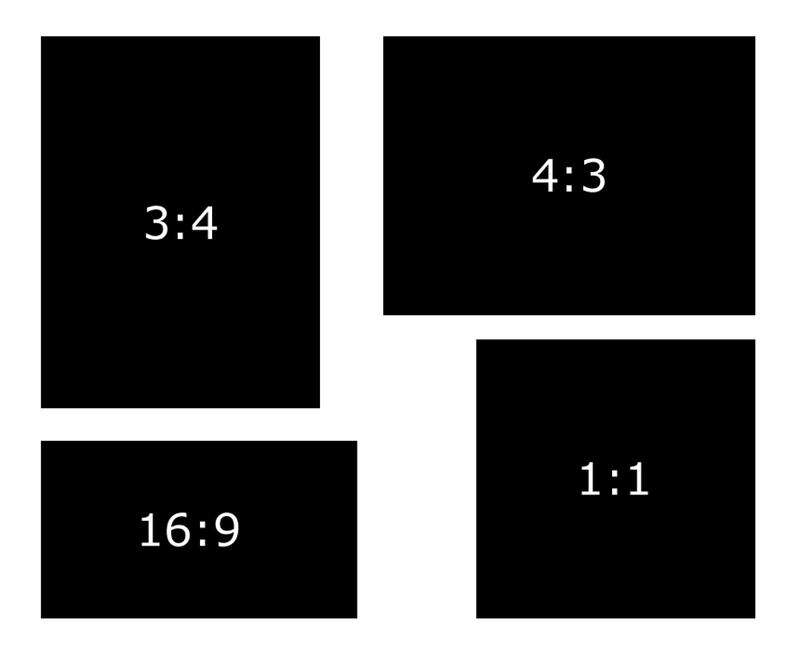 And here’s a great tool for optimizing the size of images with large file sizes. Let’s be real—we all know what this means. If you’re missing the mark when it comes to page speed, you’re also missing out on the chance to bring on new customers through your website. When you think about it, it’s pretty incredible that the credibility of a company is so powerfully linked to the aesthetic quality of its website. But it’s 2019, and a website serves as a window into the way a company operates. As such, it needs to exude credibility in every sense of the word. When it comes to portraying credibility on a company website, step one is to have a modern, updated design that shows your company cares about its digital presence. This includes implementing all of the aspect ratio, image, font and layout information we discussed above. But credibility is also driven through a website’s content, and content should always go hand in hand with design. A website’s content can be anything from images or videos displayed on the site to blocks of text describing your services, or a large headline. The way these pieces of content are integrated with your site’s design is just as important as what they say. Good design relies on a seamless integration of quality, informative, and credibility-boosting content into the overall fabric of the site. Make sure that your website’s content—whether in the form of images or text—reinforces its design. This way high quality aesthetics are bolstered with evidence of success, brand-defining statements, and images that keep users interested and engaged. As we learned from our first statistic, it takes much less than a second for a user to form their opinion on the quality of a website. We also discussed the fact that once your website passes the snap judgement test, it will have to keep it up in order to retain the user’s positive impression. The next hoop your website needs to jump through is the user’s first conscious impression, which is typically an area on the landing page that will influence their perception of the website’s quality. Users take an average of 2.6 seconds to find this spot, so it’s important to be engaging right away. The key to creating a positive first impression is a combination of extreme clarity and quality design. Every landing page should have a logical area where you want your user’s eyes to land. This area will most often be a line of text or media that introduces your company to the user. Taking a screenshot of our own website’s user interaction data, we find that the most attention seems to go to the page’s headline, and then to the navbar, where users can learn more about the company or a specific service. This is by design—since right off the bat, we want users to understand what we do: Providing the complete plan for you to win online—and how to get started: Fill in your email address. To learn more about using Hotjar heatmaps and scrollmaps to analyze user behavior, check out this step by step guide. If you want users to gravitate toward something specific on your website, try pushing that image or multimedia toward the top left of the page, and maintaining that same structure throughout the site. They start at the upper part of the content area, reading horizontally from left to right, then move down and read a smaller quantity of content from left to right. Finally, users tend to scan the content’s left side vertically from top to bottom. Try to order the pages of your website in this way, so that users see the content that will influence their credibility and potential purchasing decisions front and center. Images are great. They add depth and significance to a user’s impressions of a website while spicing things up. This statistic shows us that users do in fact pay attention to the main image on a web page, so it’s important to make sure that this image communicates effectively and reinforces the brand. Choose images that are relevant to your product or service offering and will not distract from the overall objective of the website. Most importantly, don’t go overboard. It may feel like an image slider is a good idea, because it gives you the ability to portray your company in multiple different settings, or allows you to pitch a variety of offers—but most statistics point to sliders actually having a detrimental impact on conversion and user opinion. Sliders tend to distract users from what they were originally doing on your website. Not to mention, the fact that users only spend 5.94 seconds on the homepage image means that first image in the slider is usually the only one that users see. 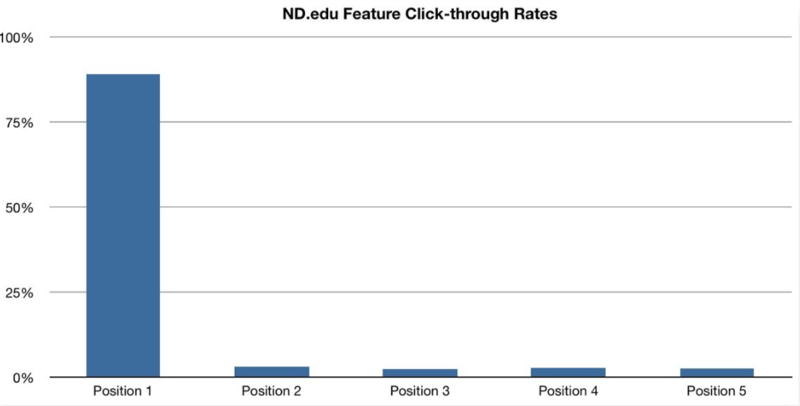 In fact, here’s a chart from Instapage showing the massive discrepancy between click-through rates of slider images at different positions. I don’t know about you, but 5.59 seconds doesn’t seem like a lot of time to soak in the written content on a website’s homepage. So how is it possible to convey a positive image of your company on your website in such a short time? Remember statistic #4, when we briefly discussed the nested content that lives in the seemingly endless dropdown menus on the Restoration Hardware website? The reason for the many dropdowns has to do with the fact that Restoration Hardware can’t possibly display every single product, along with its specs, reviews and prices on one page. As long as it’s easy (and not confusing) for users to find what they need, progressive disclosure can be a great way to create a better user experience on your website. Keeping in mind the fact that users spend an average of 5.59 seconds per page consuming written content, it’s imperative that this content is as effective as possible at portraying your company in a positive light and getting your users where they need to go on the site. Believe it or not, users want to know what your website wants them to do. They may not always do it, but that’s a different story. Your website is a great credibility boosting tool that serves to inform users on your products or suite of services—but most importantly, it’s your online point of sale. If I get locked out of my house and I urgently search Google for “locksmith near me”, I need help right away. If a website lacks a clear way for me to immediately get in contact once I’ve briefly vetted the company, what’s the point? A locksmith is an example of a commonly used service that requires immediate action, but even companies with a longer sales cycle can benefit immensely from having some sort of call to action on their homepage. It tells users what you have to offer while making it as easy as possible to purchase a product or request a service. The type of CTA you feature will depend on the type of business you run, but if your homepage lacks one, users will choose to go elsewhere. Nobody likes big blocks of text accompanied by more big blocks of text. It’s boring and one-dimensional. Depending on the search query that leads a user to your website, the homepage may not be the first page that they find. Instead, it’s possible that a user may land on a more content-heavy page that better satisfies their search intent. With that said, every page on your website should be well-designed and built to maximize user engagement—not just your core marketing pages. If I land on a piece of content that looks like a college research paper, I’m likely to avoid it in favor of a piece that offers more excitement and is easier to consume. Create all content with the user in mind, whether it’s your Services page or a blog post. On your company’s core marketing pages, be sure to use enough detail to educate users, but don’t provide enough to confuse or bore them. In a blog post, where content should be more comprehensive and actionable, be sure to break up large blocks of text and include plenty of subheadings and lists to facilitate reading. On all pages, try to include images, videos or graphics that reinforce your content and add to its depth. The participants noting that websites were often found to be too complex, busy and lacking in navigation aids. The study also cited participants commenting on boring design, bad use of color, excessive pop up advertisements, inadequate introductory content, small print, too much text, a corporate look and feel, and an ineffective search feature. The same study found that 46% of consumers in the study based their decisions on the credibility of websites on their visual appeal and aesthetics. This includes website layout, typography, font size and color schemes. Statista has found that mobile traffic globally has a larger share of internet usage than desktop traffic. Actually, mobile traffic has been ahead since 2015. These figures are increasing year over year, causing websites that are not responsive to lose progressively large portions of their audience. Ask any company if they would like to more than double their website traffic. It’s probably a good bet they will say yes. If #18 wasn’t convincing enough, research shows that mobile internet usage is projected to skyrocket in the coming year. If we’re already seeing shamelessly cheesy commercials like this one, it’s only foreshadowing that we experience more “anti-desktop” movements in the future. It’s so compelling that even companies that pride themselves on building great computers are targeting younger demographics and alluding to a world where the computer industry is ripe for disruption. When Apple does something like this, it’s worth paying attention. 50% of US ecommerce revenue is already happening on mobile devices. It logically follows that with the projected increase in overall mobile share of internet traffic that this number will go up as well. In fact many retailers are already known for their great mobile shopping experience and others are making significant improvements to theirs. Those who are not may cease to exist in the near future. Since users are making judgements on the credibility of your website in much less than a second, the most logical way you can impact this decision is with design. Make sure your website doesn’t look like it was built in 2002 with some simple fixes. Make sure your images look like they were taken this decade, and your fonts are either modern or timeless. 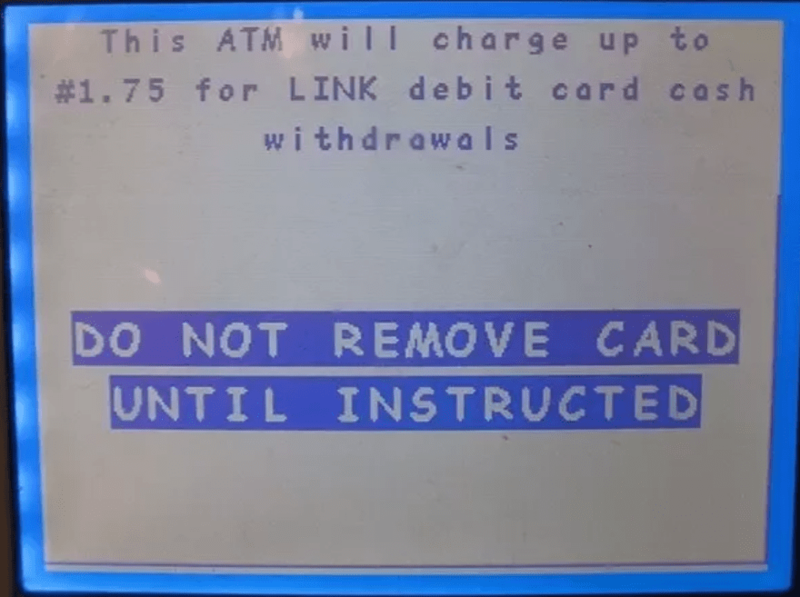 There’s nothing quite like the laugh I get when I see Comic Sans on a website. Another important factor of website modernity is aspect ratio, or the ratio of the width to the height of the screen. If your website sports a 3:4 aspect ratio, it’s a telltale sign to a user that it’s outdated and shouldn’t be taken seriously. Opt for a more modern 16:9 or even 4:3 aspect ratio to cater to the shape of most of today’s widescreen devices. Doing one thing in particular can help you out with all of this. All the traffic in the world doesn’t matter if a website isn’t ready to give that traffic what it’s looking for. While responsive design is not yet featured on as many websites as it should be, it’s still out there—and users will search until they find it rather than settling for a bad website. Accessibility lies at the heart of responsive design. Websites that are difficult to navigate provide poor accessibility which leads users to seek out alternative options. This is an area where companies with mobile friendly websites may think they are unscathed by the lack of responsive design, but it’s actually quite contrary. Rather, it implies that a user can view a website on a computer, then pick up a phone or tablet and pick up where he left off without any confusion. The layout of the website may look different—as it should, based on the different sized devices—but the ease of use and the overall experience should never suffer. Yet another signal that the websites viewed by the mobile audience are getting better. The companies getting it right are clearly reaping the benefits of a high quality digital presence on mobile. Let’s say you’re on the road and your car breaks down, or you’re at dinner with a friend and want to find a new, exciting place for dessert. Although over half of web traffic is happening on mobile devices, the mobile experience is even more powerful in the local business scene. Local businesses have extremely high potential for traffic from people on the go. A bad website can tarnish a company’s credibility significantly—but a quality website can help a company extend its sphere of influence and create leads. Responsive web design also plays a massive role in this. If a user has to pinch to zoom in and out on your website, there’s a good chance they will just leave instead. For you, the difference between these two outcomes could be as simple as making adjustments that change the way users perceive your website the first time they interact with it. Website first impressions matter. Make them count.